Smoking, drinking alcohol in excess and following a diet loaded with processed foods, refined sugars and saturated fats are all bad habits that are linked to unhealthy outcomes in life. When you follow such habits, you put your body at risk for multiple chronic conditions and diseases, such as obesity, diabetes, high blood pressure, asthma, COPD, heart disease and even certain cancers. But just because you've followed an unhealthy lifestyle for most of your life, doesn't mean it's too late to start over – there's always time to give your body a refresh. There are plenty of natural ways to cleanse your body and remove the waste, toxins, excess hormones and other unwanted substances that you've been holding on to for years. In this article, we'll discuss reasons to detox your body, how long the process takes and some of the natural, healthy ways to cleanse your system. Whether you're dealing with illness, want to boost your immunity or just need a health fix, detoxification is for everyone. Along with aiding weight loss, going through a full-body cleanse can alleviate symptoms like bloating, nausea, fatigue, acne, headaches and constipation. It eliminates toxins from the body – A healthy process can remove the chemicals, preservatives and natural waste like pesticides and heavy metals that entered your system from unhealthy foods and natural exposure from the environment. It enhances your immunity – Detoxification strengthens the immune system, helping to fight off infection and making you less vulnerable to illness and disease. It increases energy levels – Toxins hold your body back from performing at an optimal level. With a full body cleanse, you can enhance your mental, physical and emotional well-being. It slows signs of aging – Did you know exposure to heavy metals leads to premature aging? A detox gives your body the antioxidants and vitamins it needs to fight oxidative stress that could ultimately damage your body. Other benefits of a detox include improved digestion, clear skin, improved sleep and increased nutrient absorption. Unhealthy fad diets can wreak havoc on your immune system. How long does it take to detox your system? Those looking for an immediate fix often turn to a detox because many fads claim to help you shed pounds almost instantly. However, when you follow a popular liquid cleanse once and turn right back to your old eating habits a week later, your system will flood back full of the toxins you attempted to eliminate in the first place. The point of detoxification should not be to look for a quick fix; a full-body cleanse should be a concentrated solution to eliminating years of bad eating and unhealthy habits from your system. With that being said, there's no concrete period of time that it takes to detox your body. It all depends on your personal wants and needs. Someone who is in great health but feels less energetic than usual may benefit from a cleanse that lasts seven days. A person living with chronic pain or a debilitating illness may need more time to detox the body. Determine what length of time is right for you by assessing your own health standing and better understanding your own health goals. The most popular fad detox is the Master Cleanse. It's a modified juice "cleanse" that restricts your diet to drinking a mixture of water, lemon juice, maple syrup and cayenne pepper. It's said to help you lose excess weight within two weeks, rid your digestive system of toxins and help you look and feel healthier also instantly. However, we don't consider this a healthy option for detoxification, as it comes with multiple risks. First and foremost, the Master Cleanse lacks protein, fatty acids and the other essential vitamins and nutrients your body needs to thrive. While considered a liquid diet, this regimen can actually cause your body to dehydrate, deplete itself of all of its electrolytes and lead to digestive issues, as reported by Harvard Health Publishing. Following a dangerous cleanse that lacks vital nutrients can disrupt the natural intestinal flora and acid-base balance, which can cause problems in both the blood and digestive system. Because you're refusing to give the body enough calories for fuel, it will feed off of the fat you already have, which of course can lead to weight loss. 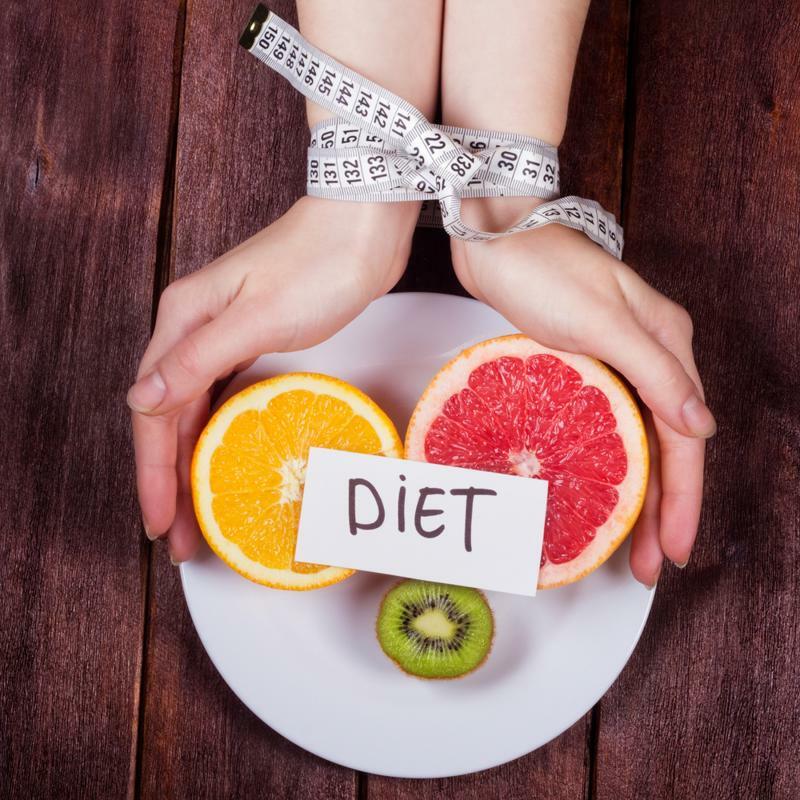 However, when you stop following this low-calorie cleanse and get back to normal eating habits, your body will gain the weight back almost instantly. 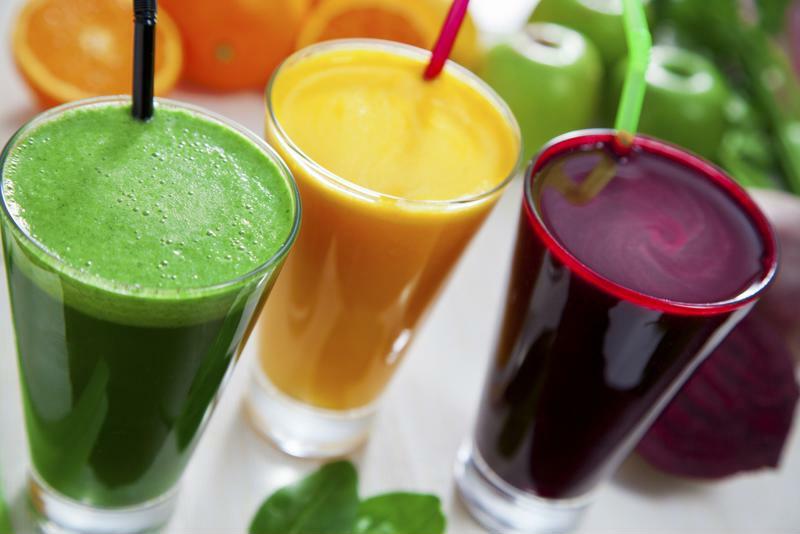 Juicing offers the most nutritional content from fresh fruits and vegetables. There's no need to fall victim to the fad diets and detox plans that claim to cleanse your body in a healthy way. There are plenty of natural, wholesome options that can rid your body of toxins without making you feel exhausted, dehydrated and more sick than before the regimen. In fact, God created our bodies with the amazing ability to self-heal. 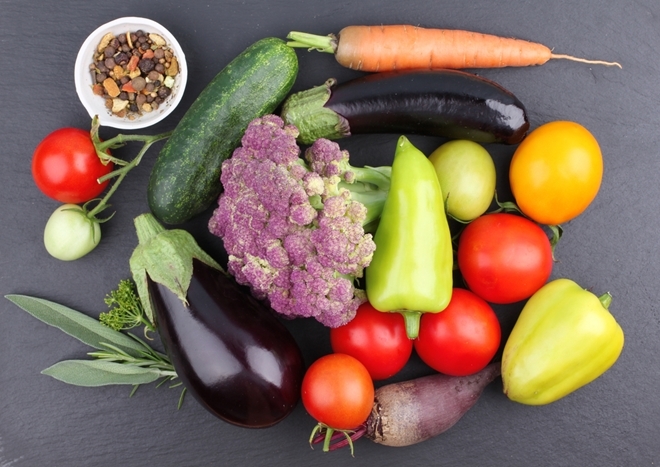 With the right vitamins and nutrients, you can fuel the systems that were created to naturally cleanse and detox your body, according to Keri Glassman, RD, CDN. "Our bodies are natural systems built to detox all the time," she told Medicine Net. "Our liver, skin, urinary system, and gastrointestinal tract are constantly helping to cleanse our bodies through sweat, urine and feces." By eliminating the harsh processed foods from your dietary habits and replacing them with organic, raw plant-based foods like fruits, vegetables, whole grains, nuts and seeds, you'll give your body the fuel it needs to promote detoxification, replenish your body with nutrients and help your organs rest and work as they're supposed to – stimulating your liver to focus on getting rid of toxins and encouraging toxin elimination through your small intestine, colon, kidneys and skin. 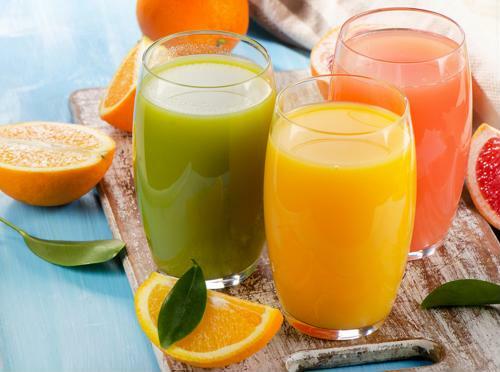 Specifically, juicing is one of the most beneficial elements of a plant-based eating regimen – the art of juicing breaks down the cell structure of raw foods, releasing more than 90 percent of its full nutrients so you get the most of your fruits and vegetables. Beyond following our plant-based diet, the Hallelujah Diet Super Deluxe Full Body Detox can speed up the process of eliminating the toxins that are holding you back from living your healthiest life. This kit doesn't only boost you health; it can also help you release energy and cleanse your system so that it runs just as it's supposed to. In this kit, you'll receive Fiber Cleanse, BarleyMax, Cilantro/Chlorella Tincture and LVR. 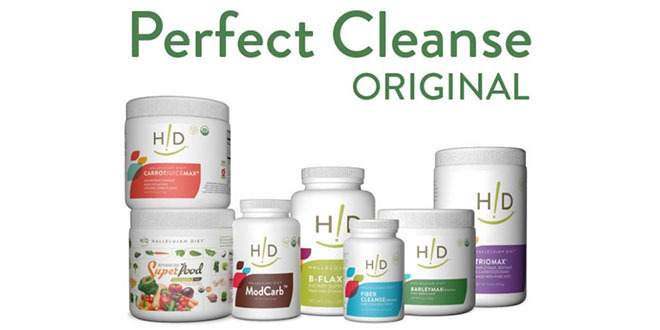 Another option we offer is our Hallelujah Diet Perfect Cleanse. This science-based program is the perfect fix for anyone who wants to wake up feeling refreshed, naturally healthy and vibrant – free from all of the toxins you put into your body in the past. The kit consists of BarleyMax, CarrotJuiceMax, TrioMax, Advanced Superfood, B-flax D, Modcarb and Fiber Cleanse to help you boost your energy levels and absorb nutrients at a superior level. Your system relies on natural fuel for a full body detox. Join us on the path to better health today by following our primarily raw, plant-based diet and cleansing your system with one of our helpful kits. Create more locations so shipping will be less.